The Decemberists [Tune in Tuesday] – my books. my life. 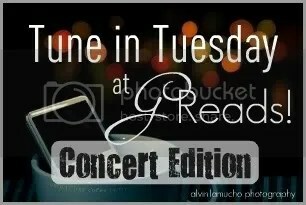 Check out the rest of the Tune in Tuesday posts over at Greads! My husband has been trying to get me to listen to The Decemberists for the longest time, but I have been noncommittal. Now I can see that I need to check them out! Can you recommend a good album to me? I would say to start with their newest album, The King is Dead. But my favorite album is probably The Crane Wife. This is a very difficult question. I love every album. You’ve seen the Decemberist? I have all kinds of jealousy right now..I love them! Definitely go if you get a chance. Such an amazing experience.